In a bid to fight climate change, six African countries have pledged to protect Congo basin’s tropical forests, according to media reports. Donor nations from Europe are also part of the initiative. Norway has announced up to $ 47 million annually from 2016-20. The money will come from funds previously earmarked for tropical forests. “Addressing issues concerning unsustainable agriculture, wood energy use, forestry and infrastructure development will be the main challenges,” a statement by the UN Development Programme stated. The project aims to slow down illegal logging and burning of forests that are vital to indigenous people and protect endangered animals. It is part of the preparations for a UN summit on climate change to be held in Paris in December. The plan, known as the Central African Forest Initiative and agreed on during the UN talks in New York, covers the Central African Republic, Democratic Republic of Congo (DRC), Cameroon, Republic of Congo, Equatorial Guinea and Gabon. Apart from Norway, the other donors are Germany, France, Britain and the European Union. Brazil, the main nation in the Amazon basin, is an advisor to the project, which also involves UN agencies and the World Bank. Forests in the region cover about 2.0 million sq km, but are shrinking by 5,600 sq km a year, news reports say. According to Jonah Busch, an environmental economist and research fellow at US non-profit Center for Global Development, the biggest driver of tropical deforestation is industrial agriculture—palm oil, beef and soy, in addition to wood. Logging companies are plundering Congo’s forests for timber extraction, according to international non-profit Global Witness. The non-governmental organisation (NGO) says that Congo’s timber production worth $97 million does not comply with international timber trade laws. Congo Basin represents 20 per cent of the world’s tropical forests and has the highest biological diversity in Africa. It is teeming with variety—rivers, grasslands, swamps and flooded forests. 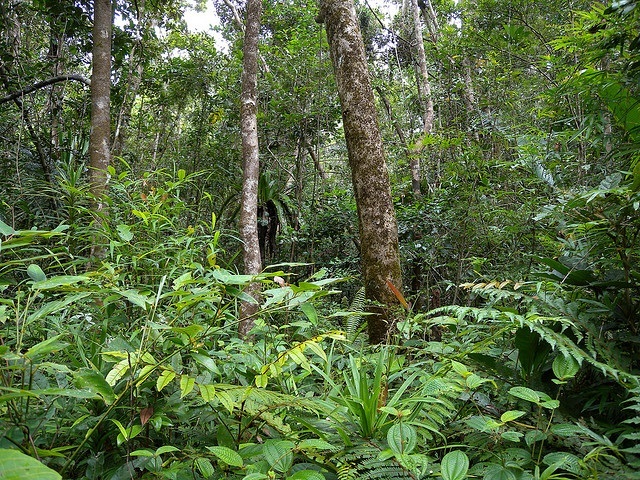 This trans-boundary forest stretches into Cameroon, Central African Republic and Democratic Republic of Congo, among other countries.